The Perfect Summertime Salads with Barbara Tenney! 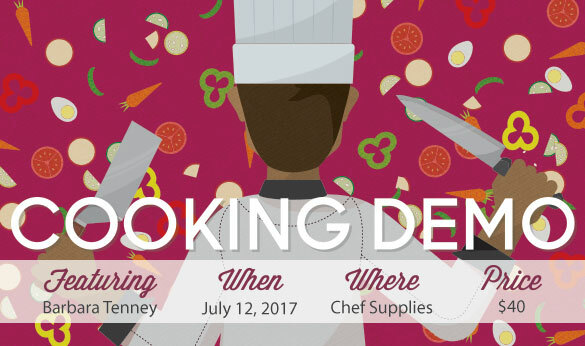 Come on down to Chef Supplies on July 12 to get a little taste of summer! Barbara Tenney will be here to show us 3 fabulous summertime salad recipes, plus she’ll be making homemade ice cream with a KitchenAid mixer! Call us today to reserve your spot at 865-225-1545. See you soon!